Finnair, the flag carrier of Finland, dates back to 1923, making it one of the oldest airlines in the world. From its main hub in Helsinki Airport, the airline flies to 88 destinations in Europe, Asia and North America. In the United States, it serves Chicago, Miami and New York. You can use points earned with Finnair Plus, the airline’s loyalty program, to book air travel on Finnair and its oneworld partners. 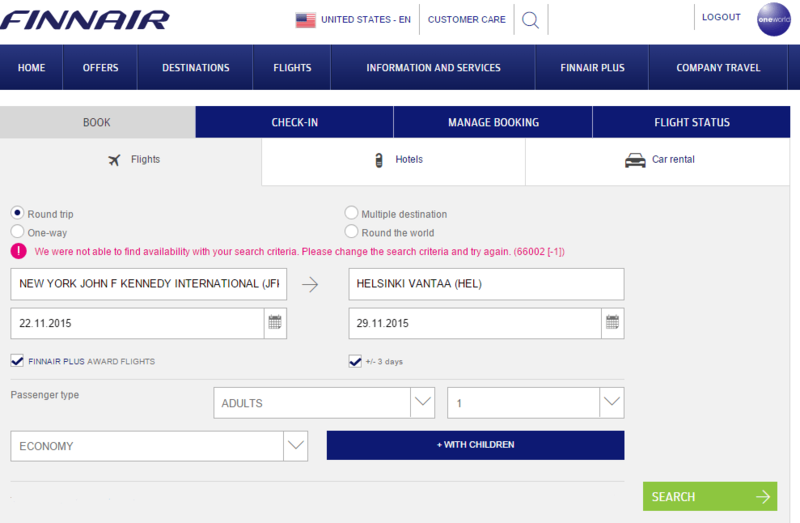 Unfortunately, Finnair’s redemption rates aren’t great. Classic awards, which are the cheapest economy fares, cost 125,000 miles roundtrip between North America and Europe. That’s what most airlines charge for business class. Finnair’s award charts are region-based, but redemptions on oneworld alliance member are distance-based. 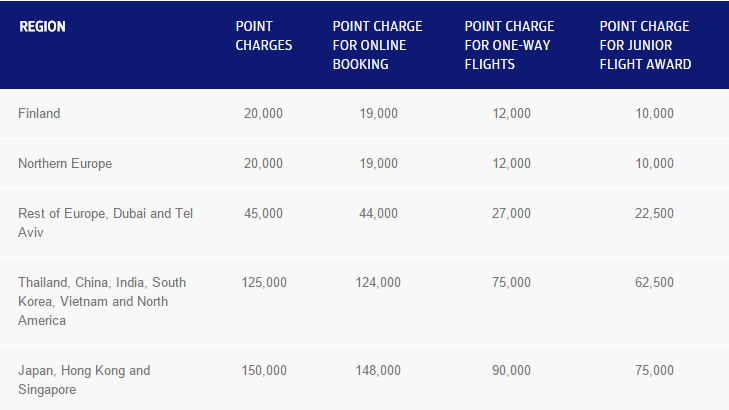 Finnair imposes considerable fuel surcharges on some routes for both its own flights and some partners, but it has eliminated charges on all European routes, as well as flights to Dubai and Tel Aviv. That’s a welcome development. Although Finnair has a lot of earning partners, including hotels, car rental companies and retailers, it does not have a credit card partner. If you are based in the U.S., you’ll have to collect most of your Finnair Plus points the old-fashioned way, in the air. One perk of Finnair Plus is its special kids’ rates, called Junior Flight Awards. They are only available on Finnair flights, and cost 50 percent less than regular awards. 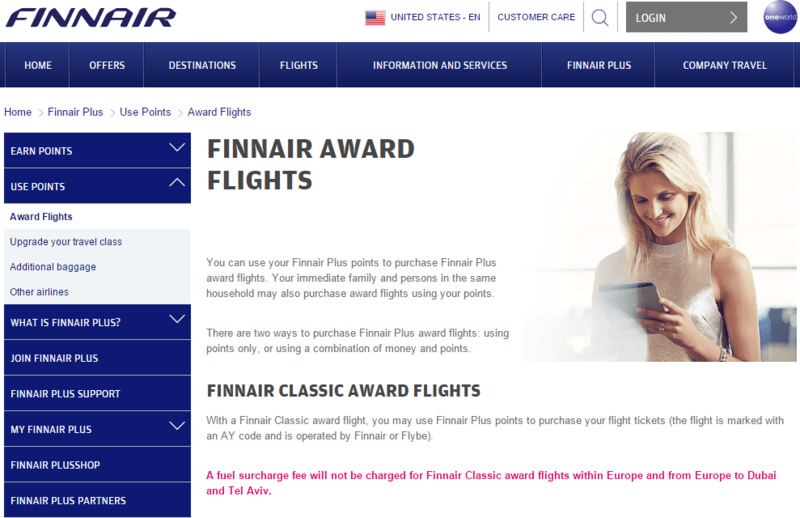 When Should You Use Finnair Plus Awards? The best redemptions in the Finnair Plus program are on Finnair flights in Northern Europe. Although Finnair’s award search engine is easy to use, it can be buggy. It sometimes returns error messages, or indicates that a flight is not available for no apparent reason. If this occurs, it’s probably easiest to call. 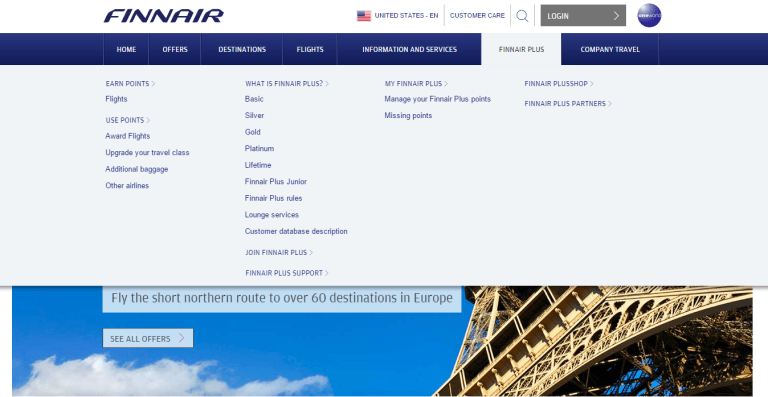 Go to Finnair’s homepage and hover over “Finnair Plus.” Click “use points” located in the left-hand column. Select “award flights” from the options on the left. Scroll down until you see “book a Finnair Classic flight award,” and click on it. If you get a message like the one above, stating that the flight is not available, change your dates and try again. The next screen will show you a week’s worth of available flights. If you have enough miles in your account, you’ll be able select the dates you want. Click “continue” when you’re done. The pages that follow allow you to confirm your itinerary, review any additional fees and finalize your billing information. Finnair’s phone line is open from 8 a.m. to 8 p.m., Monday through Friday, and from 8 a.m. to 6 p.m. on Saturday and Sunday, EST. There’s a 1,000-mile fee for booking by phone. 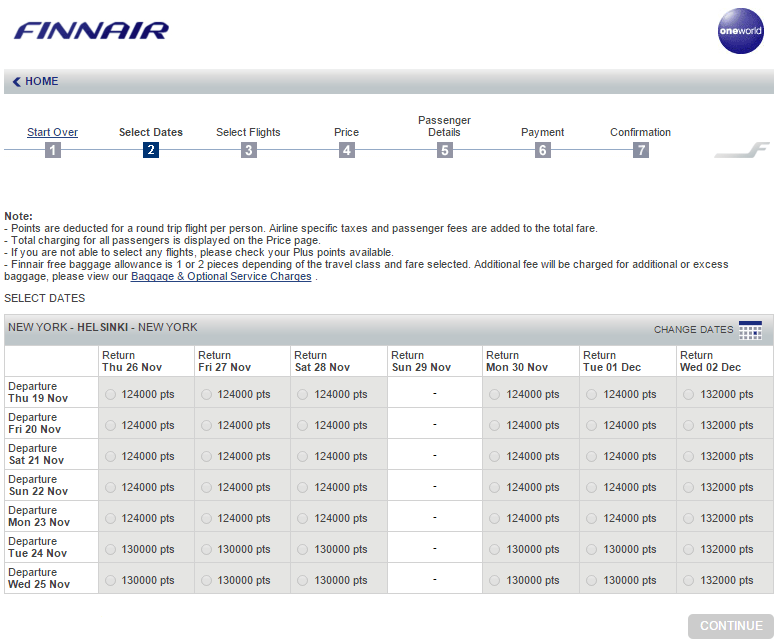 Finnair’s award calendar frequently has limited availability. The airline’s agents are courteous and knowledgeable though, so it might be worth calling if you’re having trouble finding or booking a flight.